One plant of five different, contrasting varieties, selected by us. Great for planting together in a group as a special feature in your garden. Each plants supplied in an approx 2 Litre container. 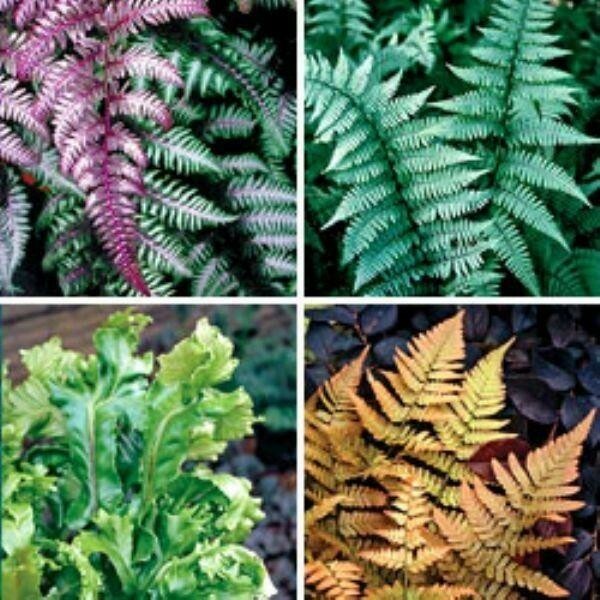 An outstanding value way of adding ferns to your garden.